cybergarage-upnp is a UPnP™ development package for Java developers. 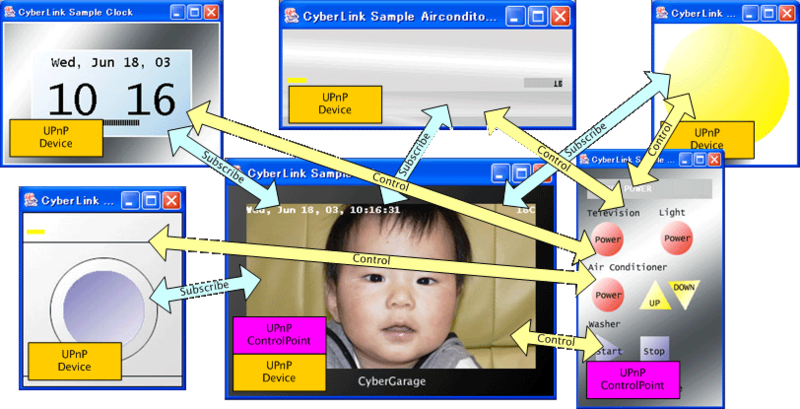 cybergarage-upnp controls these protocols automatically, and supports to create your devices and control points quickly. UPnP™ * architecture is an open network to enable discovery and control of networked devices and services, such as media servers and players at home. UPnP™ * protocols are based on many standard, such as GENA, SSDP, SOAP, HTTPU and HTTP. Therefore you have to understand and implement these protocols to create your devices of UPnP™. The project is hosted on the following sites. Please check the following sites to know about cybergarage-upnp in more detail. I maintain a my personal repository of Maven, Cyber Garage Maven Repository, for my Java projects, and cybergarage-upnp is included in the repository too. To use cybergarage-upnp in your project for Maven, add the following elements for the personal repository into your Maven project setting. Some protocols of UPnP is based on multicast, but Android’s emulator doesn’t support multicast yet. Please check Android Emulator and Using the Android Emulator to know the network limitations in more detail. VIERA remote is a TV remote controller app for Panasonic VIERA TVs, both plasma TV and LCD TV, to let TV channel selection, input selection and volume control from Android terminals (of Google’s Android 2.2 or later). 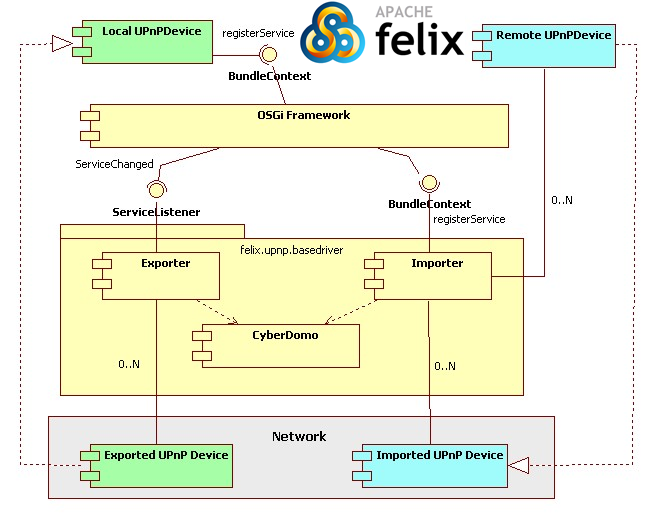 cybergarage-upnp is used as the UPnP framework. The cybergarage-upnp was awarded an excellence winning entry in [http://www.v6pc.jp/apc2003/en/ the IPv6 Appli-Contest 2003](http://www.v6pc.jp/apc2003/en/ the IPv6 Appli-Contest 2003). Please check IPv6AppliContest2003 to know the contest in more detail. If you have any problems using cybergarage-upnp, please use the tiny debugging tool which is included in CyberLinkForPerl, and send the output log as the following. To run the debugging tool, you have to be able to run Perl on your computer.